DAVAO CITY, Philippines (Mindanao Examiner / Feb. 14, 2011) – Communist rebels have declared a weeklong truce to allow peace talks with Manila beginning on Tuesday in Norway. The rebels declared the truce a day after they attacked a military convoy transporting civilians from an anti-communist rally in Compostela Valley’s Maco town and killing a villager and wounding six more. Jorge Madlos, a spokesman for the New People’s Army, said they declared the cease-fire as a confidence and goodwill measure to mark the resumption of the formal talks between the two groups after six years. “All the commands and units of the NPA shall cease and desist from carrying out offensive operations against the armed units and personnel of the Armed Forces of the Philippines, Philippine National Police and paramilitary forces of the Government of the Republic of the Philippines,” Madlos said. The truce came after the Aquino government declared a cease-fire with the New People’s Army. But Madlos said rebel forces have been ordered to stay vigilant during the cease-fire period. “While the mutual ceasefire is in effect, all commands and units of the NPA and the people's militia shall be in a defensive mode at both the strategic and tactical levels but shall remain vigilant against any encroachment on the territory of the people's democratic government, surveillance or offensive operations by the armed commands and units of the Government of the Republic of the Philippines, including those under the signboards of "peace and development", "civil-military" and "peace and order operations". Active self-defense shall be undertaken only in the face of clear and imminent danger and actual armed attack by the enemy,” he said. Undersecretary Alexander Padilla, chief government peace negotiator, said they are optimistic with the peace talks. “Our goal is to reach a just and equitable peace settlement with the Communist Party of the Philippines, the New People’s Army and the National Democratic Front and put an end to one of the most protracted armed conflicts in this part of the world. With them, we hope to build the peace that has eluded our people for so long,” he said. 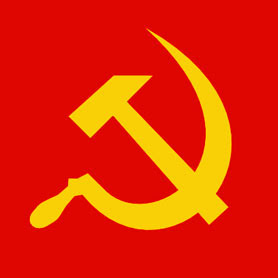 The National Democratic Front is the political arm of the Communist Party of the Philippines, while the New People’s Army is its armed wing which is fighting for decades for the establishment of a separate Maoist state in the largely Catholic country. Padilla said the peace talks are will be the first in a series of meetings that will focus on the remaining substantive agenda agreed upon between the National Democratic Front and the Aquino government – socio and economic reforms, political and constitutional reforms, and the end of hostilities and disposition of forces. He said to accelerate the peace process, they have organized working groups on political and constitutional reforms to discuss the concept, mechanics, schedule and inter-phasing with the Reciprocal Working Committees on political and constitutional reforms. “Hopefully, these will result in agreements on the reforms that need to be pursued and we can proceed to the last step, discussions on the end of hostilities and disposition of forces,” Padilla said. He said the Joint Monitoring Committee will reconvene in Norway to discuss matters pertaining to the Comprehensive Agreement on Respect for Human Rights and International Humanitarian Law, the first agreement reached under the substantive agenda. “Peace negotiation is only one element in our nation’s journey towards lasting peace and genuine development. While we will try our best to reach agreement on the substantive issues, in the end, any agreement will remain a mere piece of paper unless the roots of the conflict are resolved and a just and equitable peace is achieved and enjoyed by all. Fortunately, we represent a government that is well on its way on that path,” Padilla said.